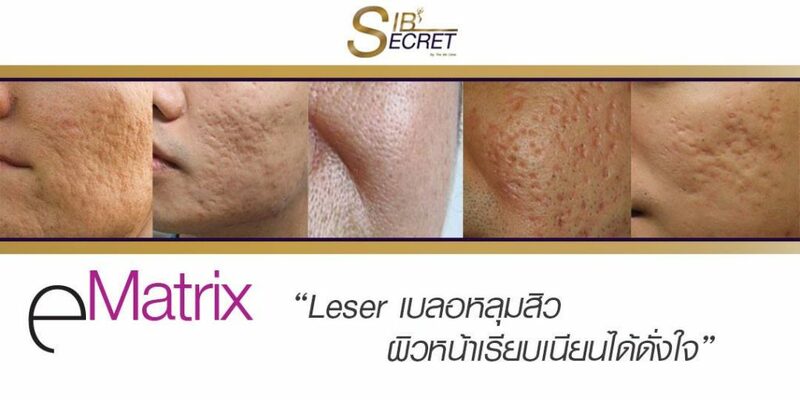 Acne scars, large pores and rough facial skin are big problem that decrease our confidence. Have you ever heard that “Perfect skin is all people need.” It doesn’t matter that your face is under make up or naked since you have clear skin. However, for who get those imperfections, here is your solution. 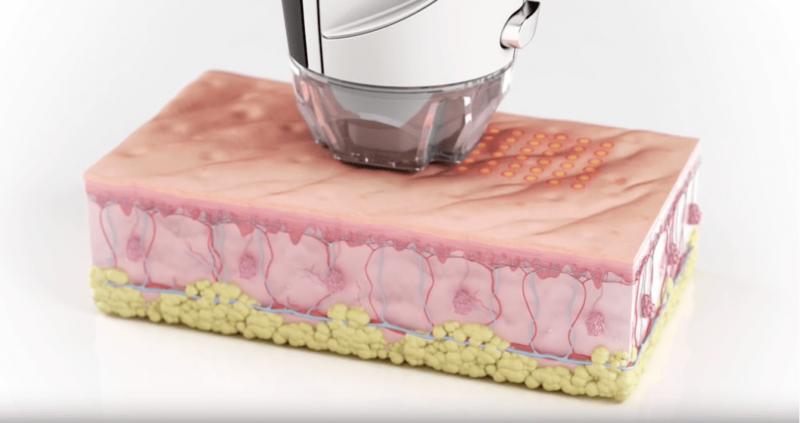 E-Matrix is a latest innovative medical device solving wide range of skin problem with Radio Frequency (RF) releasing in Fractional Beam and passing energy into skin layer with the shape of Pyramid. When skin received energy in threshold level, outer skin level will turnover and replaced by new skin layer. Besides, E-Matrix can help collagen stimulation process. How will I feel while having E-Matrix? During treatment, you may feel a warm and prickly while energy passing in the skin. But, the skin surface is always applied by anesthetic cream. After treatment, the skin would turn to pink or red around 3 – 5 days. Patient should avoid extreme sun ray. 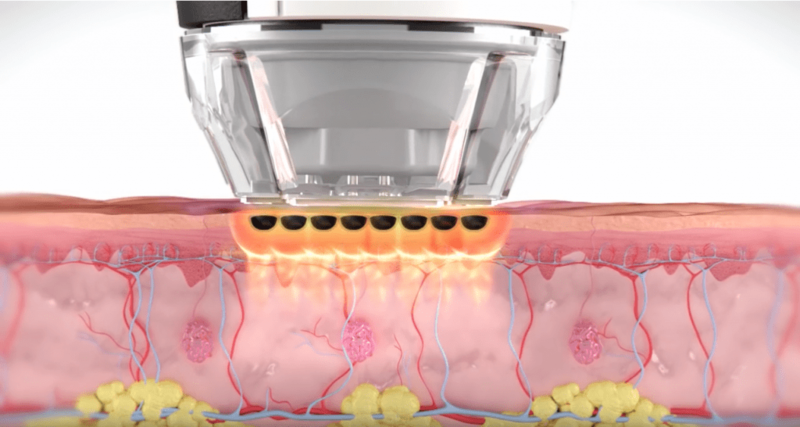 E-Matrix treatment takes 20 – 40 minutes depending on patient’s skin conditions. This treatment needs to continuously treat 3 to 5 sessions in 4 -6 weeks per session. 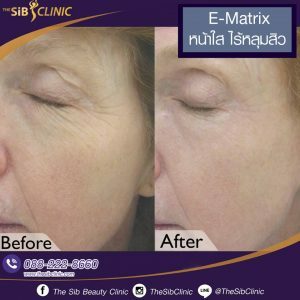 Why you must do E-Matrix at The SIB Clinic? 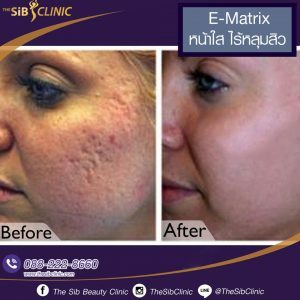 The SIB Clinic, we have an authentic E-Matrix from certified distributor in Thailand so, you can ensure that you can expect result surely. 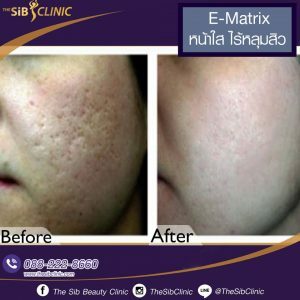 How to recover your skin after E-Matrix treatment? After treatment, patients would feel warm and this will be reduced after 1 – 2 hours. After treatment, there are thin flakes. Flakes will fall off within 5-7 days (not pullout yourself). After treatment, avoid sun exposure for at least 2 weeks and apply sunscreen every time.